The 26,000 years cycle of the most recent Precession of the Equinoxes and our sojourn on the plane of duality drew to a close at the end of 2012—a journey that lifted Mother Earth out of the 3rd dimension and into the lower regions of the 4th dimension. It is on the 4th dimension that we pause while we learn to exhibit the characteristics of the Golden Age. As we develop the understanding of who we truly are and begin to live from that perspective—living in love for all people—Earth will ascend to the 5th dimension, taking its inhabitants with her. This pause on the 4th dimension is not permanent … it is to give us the opportunity to learn the Truth that has been hidden from us for thousands of years and to integrate this Truth into our daily lives. 2013-2014 are not years for procrastination … for clinging to the old beliefs and ways of life. It is a time for realizing that the old has passed away … a time for releasing the past with all of its resentments, hatreds, discrimination, and emotional pain … a time for forgiving self and others and moving into living life from the perspective of Being Love and Enacting Love is all things. Around us, we behold a planetary society that is collapsing to make room for the new. We will transform every segment of our existing world. Nothing will be the same. The way is forward … not moving backward to a life that once was on the 3rd dimensional plane of duality. In the past, we all chose to advance spiritually by living on a dimension in which we must learn to overcome darkness and become light. Why? Living on the plane of duality offered us the opportunity to evolve spiritually more rapidly than we could have if we had chosen to remain on the higher planes of light and love. For that reason, many of us chose to incarnate on the plane of duality. The Genesis narrative of Adam and Eve eating fruit from the tree of knowledge of good and evil is the symbolic story of our choice. Rather than being sinful, this choice simply meant that we wanted to learn by being exposed to good and evil. That way we could gain from our mistakes, through the unfolding of the Universal Law: We reap what we sow. However, in order to focus on the plane of duality, we had to die to conscious memories of the dimensions of Light. Symbolically, we chose to leave the Garden of Eden and experience the world of duality. Since then, Earth has been our classroom. Before moving on to our ultimate goal of ascending to the 5th dimension, we must understand how our planetary history has unfolded. We must examine our lives to determine how well we have learned our 3rd dimensional lessons. 2013-2014 marks an opportunity to be sure we are ready for graduation and ascension. No one judges us. The. prerequisite to ascending to higher planes is that no negativity can accompany us there. During 2013/2014, we will continue to experience the trauma of learning that life on 3rd dimension was not what it seemed. While on 3rd dimension, we lived in a matrix of lies and accepted them as the way life was. We did so because we have descended so deeply into materiality that we presently use only 5% of our DNA and call the rest of our DNA strand junkDNA. We habitually use only 10% of our brain power. This means that humanity possesses a very constricted concept of who we actually are. As a result, those, who seized power through the thousands of years of our residency on the plane of duality, withheld much information from us in order to render us complaint to their control. Humanity has been enslaved in a variety of very subtle ways, most of which we are totally unaware. For this reason, 2013-2014 will consist largely of how we respond to the massive unveiling of lies that presently is catapulting into the Light of day. Once more, we stand at the Gates of Eden. Do we qualify to re-enter those Gates and return to higher dimensions where we live in only Light and Love? In order to do so, we must forgive and release all that is not of Love. Until we know the complete content of the matrix of lies in which we have lived on the plane of duality, we cannot know how difficult forgiving all persons may be. Are we ready to forgive and release the past—even though the lies may have caused us great pain—so that we can move forward in our knowledge of the Truth? As Truth increasingly Lights our Way, we must remember that we used God’s gift of freewill choice to evolve spiritually on the plane of duality. That choice meant that evil would also be present to provide a contrast to good. The lessons we chose to learn involved recognizing the good and always choosing it over evil. Through the thousands of years on 3rd dimension, we have all made mistakes and reaped the consequences. Hopefully, we have learned much. One of the principal areas in which truth has been withheld is the field of religion. 1. We inherited sin from Adam and Eve, thus we were born sinners in need of salvation. 2. We have only one life to live, represented by our present physical body. 3. Upon the death of our physical body, it returns to dust and we go to either heaven or hell. 4. We are separate from God and the only way we can be united with God is to accept Jesus as our personal Savior. 5. We are separate from all other beings, all of creation. 6. Even though the cosmos is boundless, Earth is the only planet on which human life exists. We are alone in the cosmos. 7. 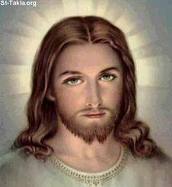 God loved us and sent his only begotten Son, Jesus, to die on the cross and save us from our sins. 8. Jesus did it all. We have only to accept him as our Savior and we are saved from eternal punishment in a hell of unquenchable fire. 9. The End – we either walk the golden streets of heaven for eternity – or – we burn in hell for eternity. The fact that we have accepted the above explanation of life is an indication that we really do not use but about 10% of our brain power. We call the above list tenets of our faith. We readily accept the religious authorities’ admonition: “If you question your faith, you may lose it.” Even though we may vehemently deny it, we are enslaved by the fear of being forbidden the keys to the kingdom. Little do we know how tightly our minds are controlled. Consider how often we refuse to investigate an area of thought because “it is not Christian.” We have unknowingly given Christian doctrine priority over seeking Truth. We have been taught that the Bible is The Word of God and that it tells us all we need to know. Ponder how frequently we condemn a person or topic with the statement: “The Bible calls it an abomination.” We have settled for an extremely narrow world view—one not even remotely based on Love and an open minded search for Truth. The word eternity is a good example. The medical profession tells us a baby is formed by the union of an egg and sperm. Religion informs us that this baby is conceived and born in sin to live the only life he/she will have. If the baby grows up to accept Jesus as Lord and Savior, then he/she will eventually die and spend eternity in heaven. A favorite biblical verse is John 3:16: “For God so loved the world that he gave his only begotten Son, so that whoever believes in him should not perish , but have eternal life.” In the Christian interpretation of this verse, eternal life is based on a decision to believe in Jesus. The actual meaning of eternity is infinite time, without beginning or end. Religion ignores the without beginning and dates its beginning for each individual as the time of our one physical birth. In so doing, humanity is rendered capable of being controlled by fear. We came from nothing and if we do not adhere to the established beliefs of the church, we will be condemned for eternity—only one life, only one chance. Sadly, our minds are so controlled that we accept this world view as fact and are shocked when someone suggests otherwise. In 324 C.E. (A.D.), Constantine, Emperor of Rome, adopted Christianity as the state religion. Thereafter, the cause of Rome and the cause of Christ became one. As a result, Constantine’s commitment to the churches’ cause meant that he must also become involved in their conflicts, which were numerous. He set up Councils of Bishops to solve the internal religious problems. The decisions made by the Councils of Bishops became imperial policy with regard to ecclesiastical questions. [i] Obedience to the king became synonymous with obedience to the church. Throughout hundreds of years, controversies raged over the doctrines to be accepted by the Church. Irenaeus, Bishop of Lyons, proclaimed: “The real Church has one and the same faith everywhere in the world.” The title of the article in which Irenaeus makes this statement speaks volumes: The Refutation & Overthrow of the Knowledge Falsely So Called. [ii] It was originally published in Irenaeus’ Selections from the Work Against Heresies. Anyone daring to believe or teach anything other than the approved church doctrine—i.e. heresy—was mercilessly persecuted. The freedom to seek truth on our own was very effectively eradicated. The condemning of an acceptance of reincarnation seriously impeded Christians’ ability to understand who we truly are, thereby disempowering us as unique individuals. This occurred in 553 C.E. (A.D.) during the 5th Ecumenical Council when the writings of Origen (185-254 C.E.) were condemned. A 4th century Doctor of the Church, Saint Jerome, declared Origen to be the greatest teacher of the Church after the apostles. Saint Gregory of Nyssa, 4th century, affirmed Origen to be the prince of Christian learning in the 3rd century. [iii] Regardless, Origen’s work was declared heresy in 553 C.E. with the following threat to all Christendom. “If anyone does not anathematize Arius, Eunomius, Macedonius, Apollinarius, Nestorius, Eutyches, and Origen, as well as their heretical books, and also all other heretics who have already been condemned and anathematized by the holy, catholic, and apostolic church and by the four holy synods which have already been mentioned, and also all those who have thought or now think in the same way as the aforesaid heretics and who persist in their error even to death: let him be anathema.” [iv] Webster’s Dictionary defines anathema as a curse solemnly pronounced by ecclesiastical authority and accompanied by excommunication. Christology offered a major source of contention. Who was Jesus? Was he divine or human or both? Here, we must remember that all religions have been created on the plane of duality by less than perfect human beings seeking to understand their world. All sacred texts were composed by human beings living on the plane of duality. Although inspiration played a role, all inspiration must first come through the personality of the writer. The degree of truth to be found in any inspired writing is dependent upon the purity of the soul of the writer, the motivation of the writer, the selflessness of the writer. The books to be included in a sacred text were determined by human beings living on the plane of duality. A part of our preparation for entering the 5th dimension is to accept that we chose, many lifetimes prior to our present incarnation, to evolve spiritually through a knowledge of good and evil. In so doing, we died –we have lived life operating with 10% of our actual brain power. We forget that we have lived thousands of lifetimes on Earth’s plane of duality. We forget that we have lived under the Universal Law We reap what we sow and therefore have had to reincarnate repeatedly on the plane of duality in order to balance with positive service to others the negativity we have previously sown. This is how atonement is made—not through a blood sacrifice of a crucified Savior. 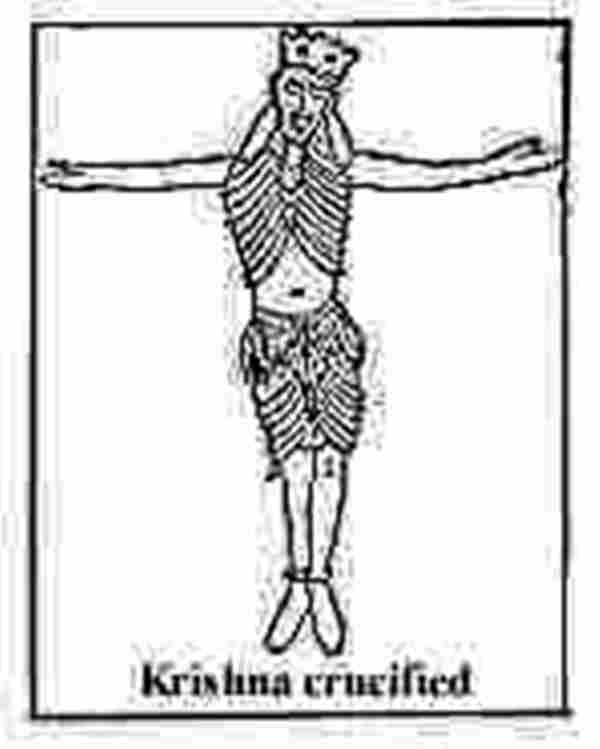 Krishna of India Crucified – 1200 B.C.E. been created in the 2nd or 3rd century copying an earlier version. Tremendous amounts of ancient artifacts, historical documents, books, and paintings were either destroyed in an effort to maintain one and the same faith or have been stored in the over 50 miles of shelves in the Secret Archives in Vatican City. [ix] This has made objective research very difficult. “Saviors unnumbered have died for the sins of man and by the hands of man, and through their deaths have interceded in heaven for the souls of their executioners. The martyrdom of the God-Man and the redemption of the world through His blood has been an essential tenet of many great religions. Nearly all these stories can be traced to sun worship, for the glorious orb of day is the Savior who dies annually for every creature within his universe, but year after year rises again victorious from the tomb of winter. 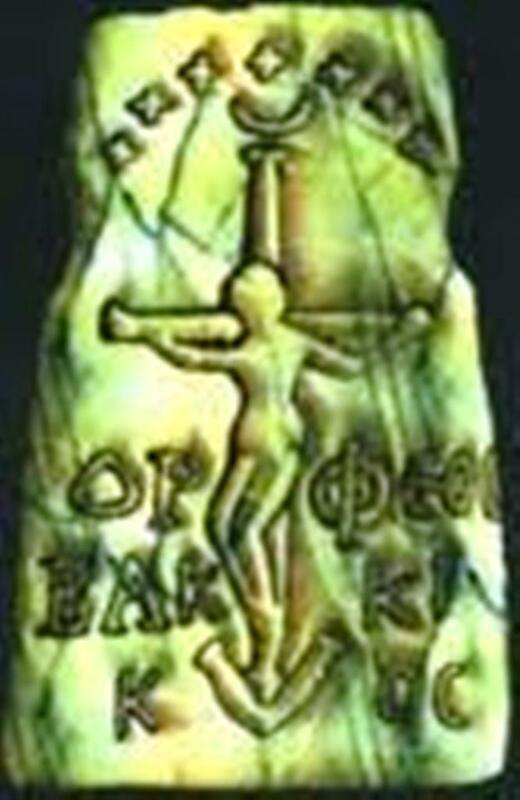 Without a doubt the doctrine of the crucifixion is based upon the secret traditions of the Ancient Wisdom; it is a constant reminder that the divine nature of man is perpetually crucified upon the animal organism.” [xi] Metaphysicians know these Saviors to be Earth’s Ascended Masters. They continue to be present in the 5th dimension and higher. Ascended Masters maintain a personal relationship with all who so desire. We call talking with them prayer. The Protestant Reformation did not take place until the 16th century. Therefore, Catholics and Protestants shared the same history for 1500+ years. The whole of Christendom has been psychologically marred by efforts to enforce one and the same faith. Christian apologists have supplied a steady defense and proof of orthodox Christianity. Our minds have been easily controlled by the fear of being condemned as a heretic and excommunicated. A tribal consciousness will gladly assist in enforcing the one and the same faith. Called by various names, churches have presbyteries, elders, deacons that serve to weed out any heretical beliefs or teachings. Ministers and professors are fired: reputations are ruined. A layperson may be shunned and/or pronounced crazy by fellow congregants. Minister and congregants are locked in a Catch 22 that very effectively prevents exploration for Truth. For this reason, in recent decades, large numbers have left the church to search for Truth on their own. The inability for the churches to explore and seek Truth has resulted in 2013/2014–the years Earth humans are temporarily residing on 4th dimension—arriving with multitudes still dead to the lies religions have propagated. Will ministers and congregants awaken to the challenge of opening to new insights regarding who we are as divine beings? Do we dare to open our minds and seek Truth? Will we stand outside the Gates of the Garden of Eden and affirm our intention to resurrect from the dead and ascend with Mother Earth to the higher dimensions of consciousness? 2013-2014 offer us the opportunity to do so! As my Bridging the Gap Ministries, I have prepared a website and blog with writings to assist you in making the transition. Many of us expected to see visible major changes take place on or around December 12, 2012. Actually major changes did take place, however, they were not readily visible. The greatest shift that occurred is that Earth was able to break away from the 3rd dimension and move into the 4th, while anchoring on the 5th. This fact has already brought forth much Truth—formerly hidden from the people. This revelation of Truth will continue! We will see increasingly that Love is permeating the Earth! “If Jesus Is A Wayshower, What Did He Show Us? [i] A History of the Christian Church, Walker, Norris, Lotz, & Handy, pages 125, 131-132. [ii] Irenaeus, “The Refutation & Overthrow of the Knowledge Falsely So Called,” Early Church Fathers, trans. & ed. Cyril C. Richardson, page 362. [iii] Reincarnation: The Phoenix Fire Mystery, eds. Joseph Head & S.L. Cranston, page 144. [iv] Decrees of the Ecumenical Councils, vol. I, ed. Norman P. Tanner, page 119. [vi] Avatar – according to Hindu mythology is an incarnation of a god. As we ascend and once more re-gain 100% of our brain power (full consciousness), we will remember that we are “sparks of god,” thus all gods. For that reason, I refer to Avatars as Great Teachers. [vii] The World’s Sixteen Crucified Saviors: Christianity Before Christ, Kersey Graves, originally published in 1875, re- published in 2007 by Cosimo, Inc., pages 104-128. [viii] The World’s Sixteen Crucified Saviors: Christianity Before Christ, Kersey Graves, page 124. 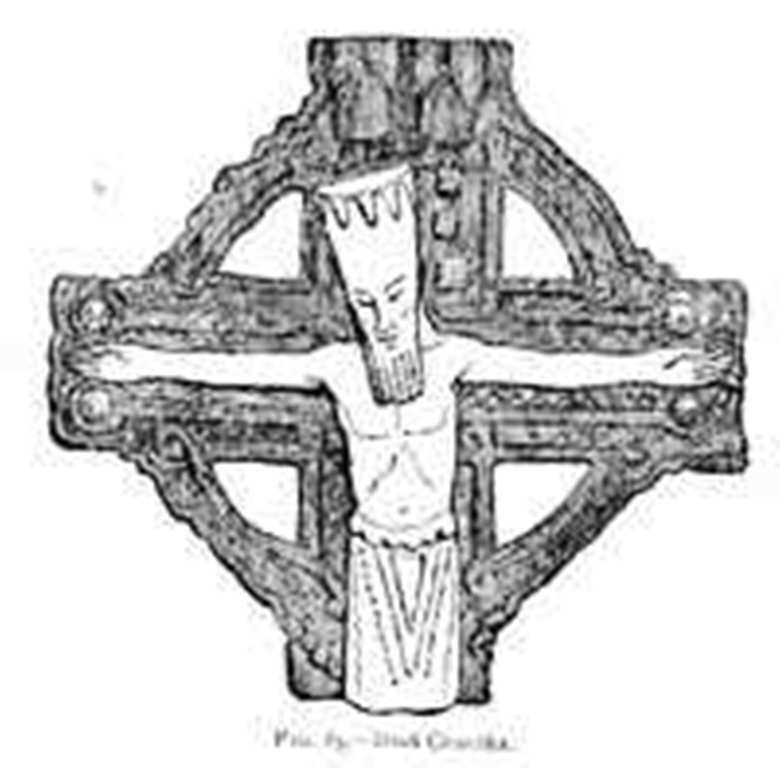 [x] The World’s Sixteen Crucified Saviors: Christianity Before Christ, Kersey Graves, summary. If interested in more information, http://www.truthbeknown.com/ offers excellent research. [xi][xi] Masonic, Hermetic, Qabbalistic, & Rosicrucian Symbolical Philosophy: Being an Interpretation of the Secret Teachings Concealed Within the Rituals, Allegories, & Mysteries of All Ages, Manly P. Hall, page CLXXXIII.